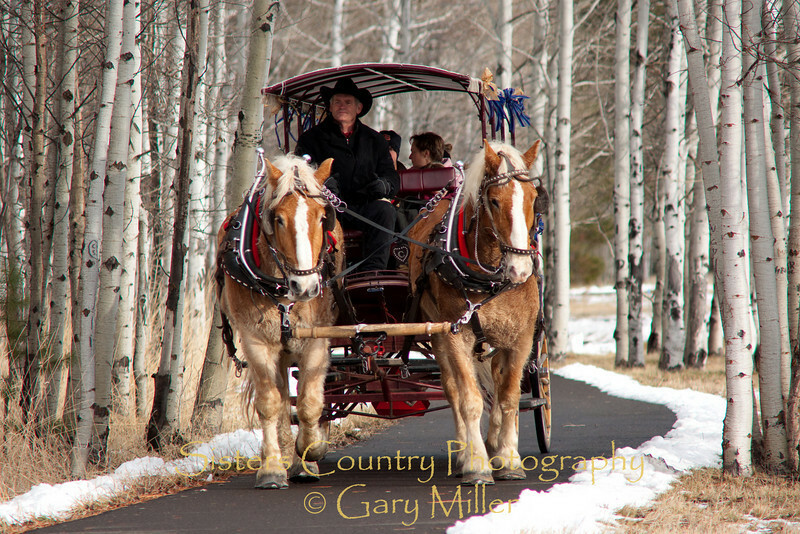 Rodeo Gallery Tips and FAQ - Where is my Photo? 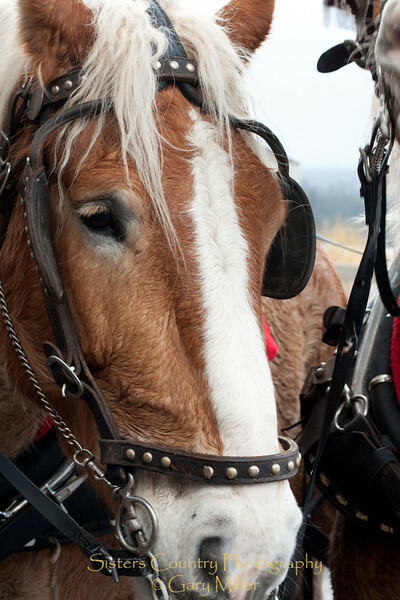 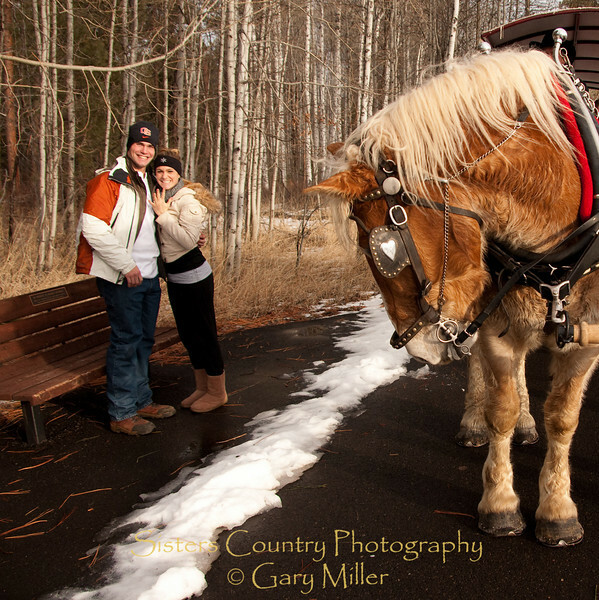 Tony and Kierstan's New Years Carriage Ride. 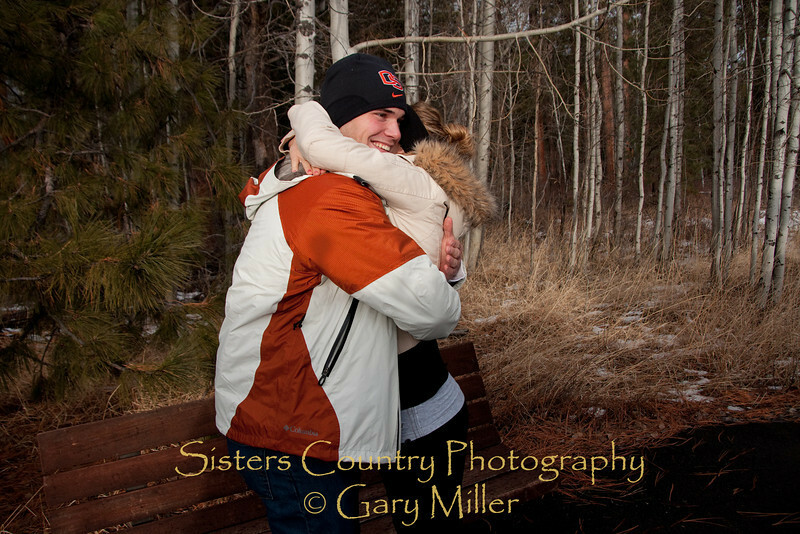 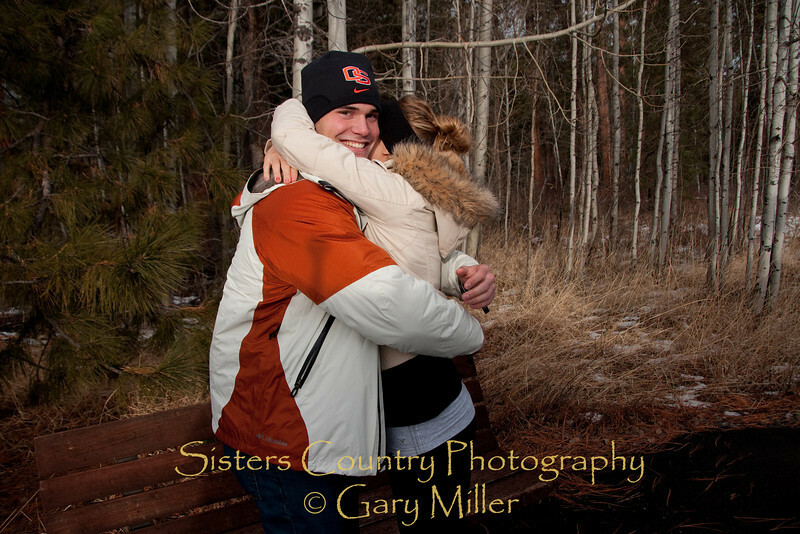 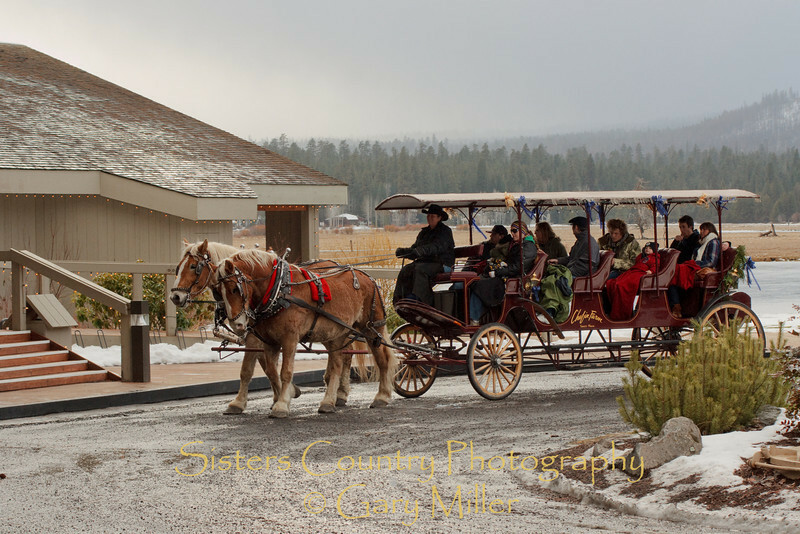 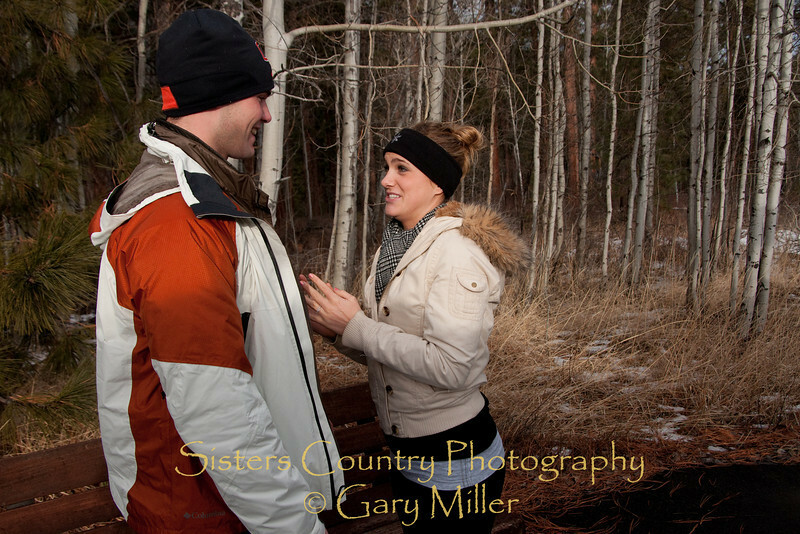 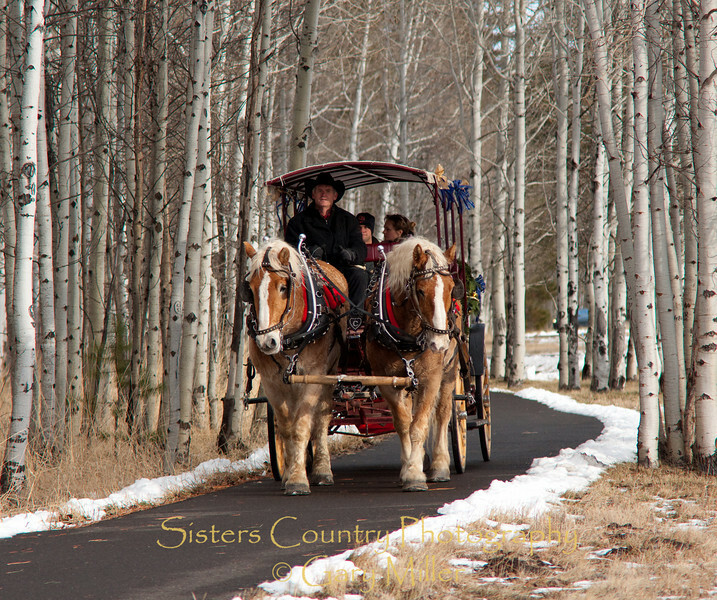 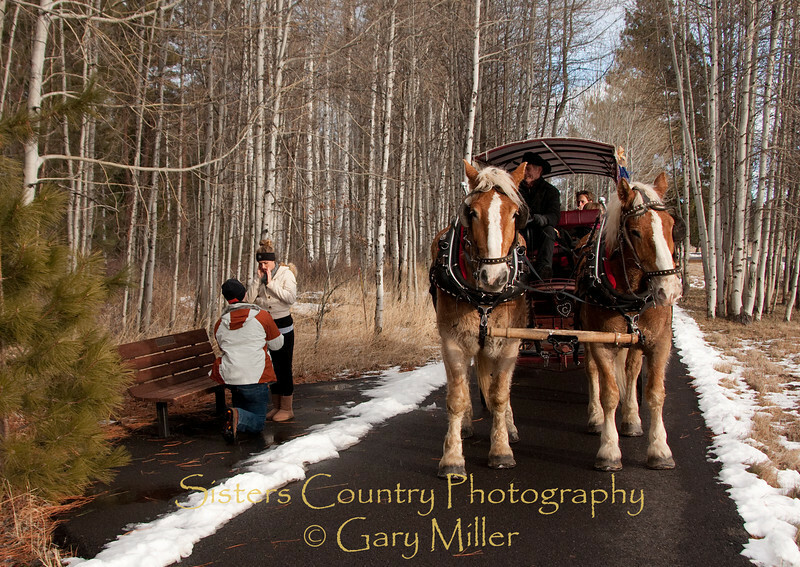 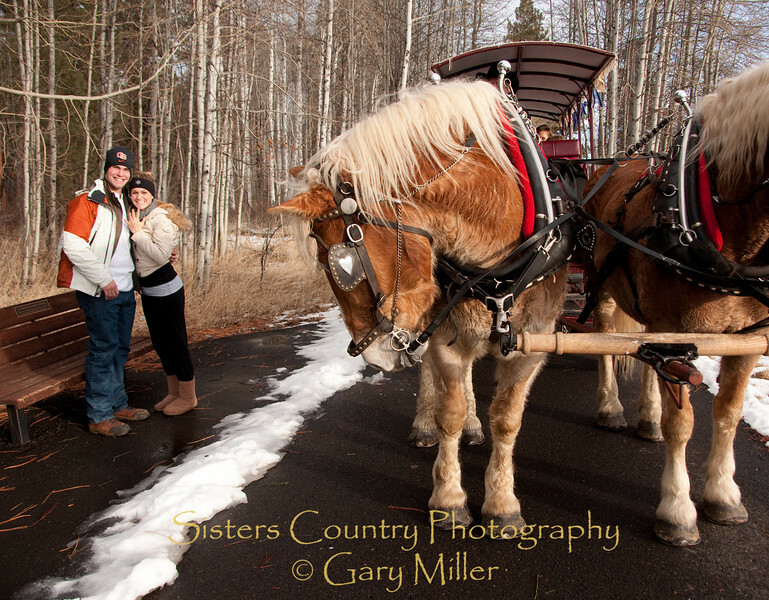 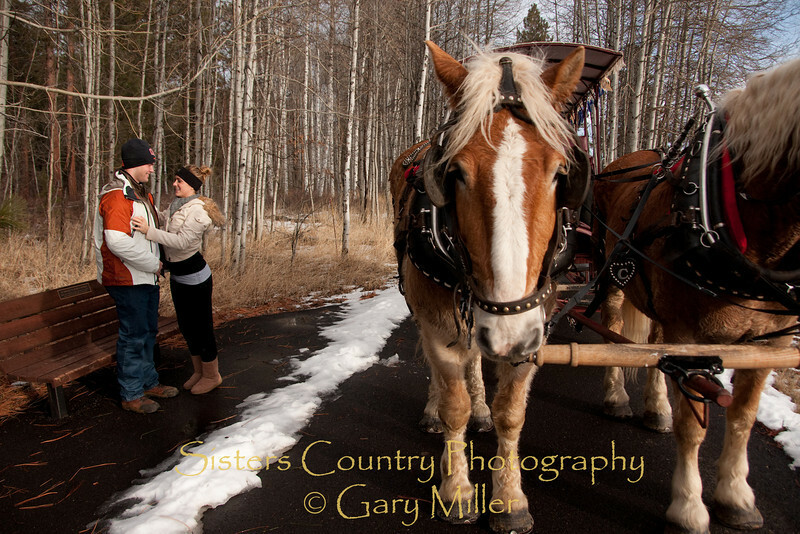 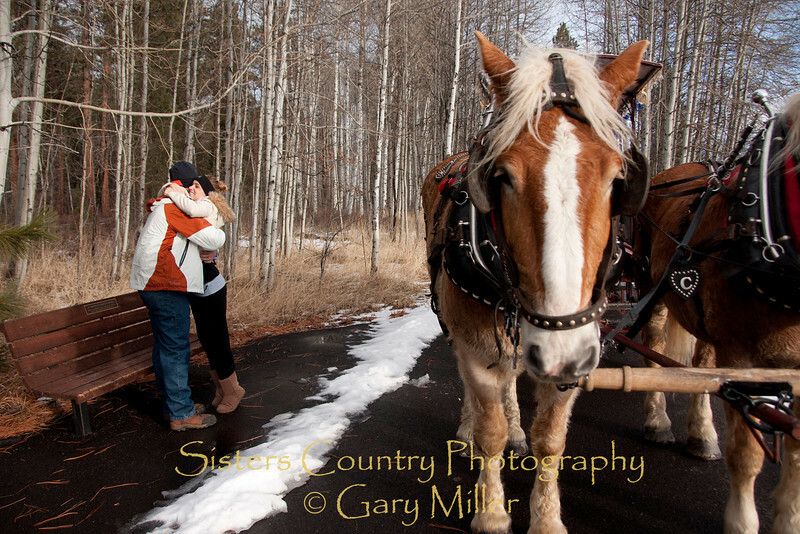 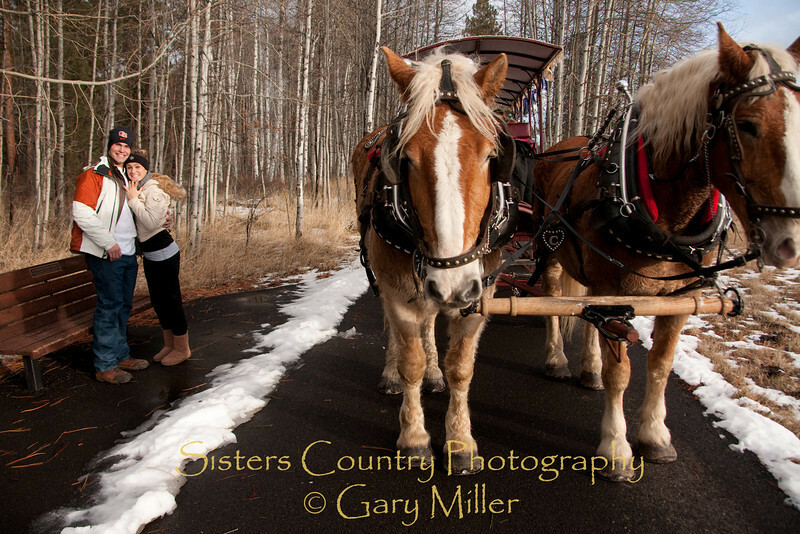 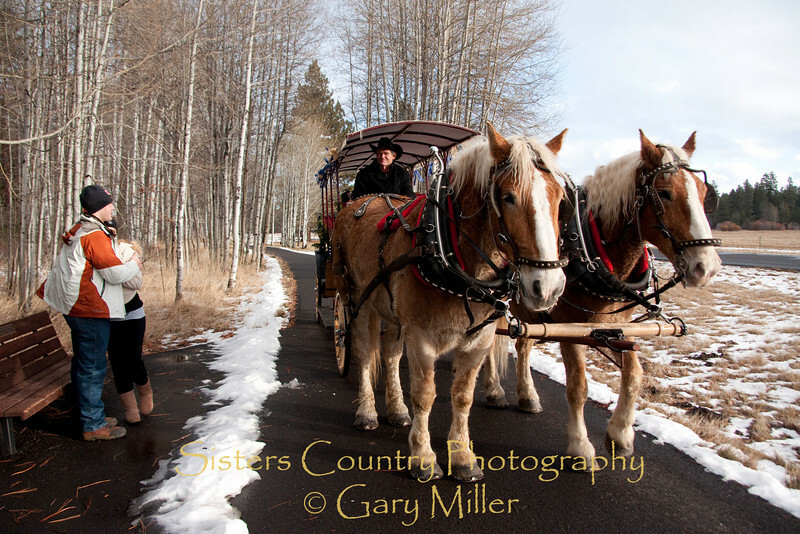 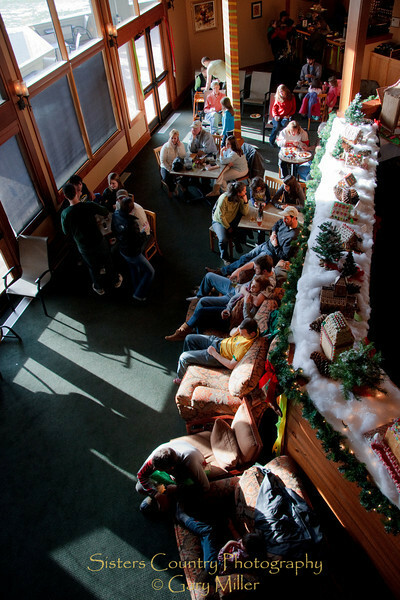 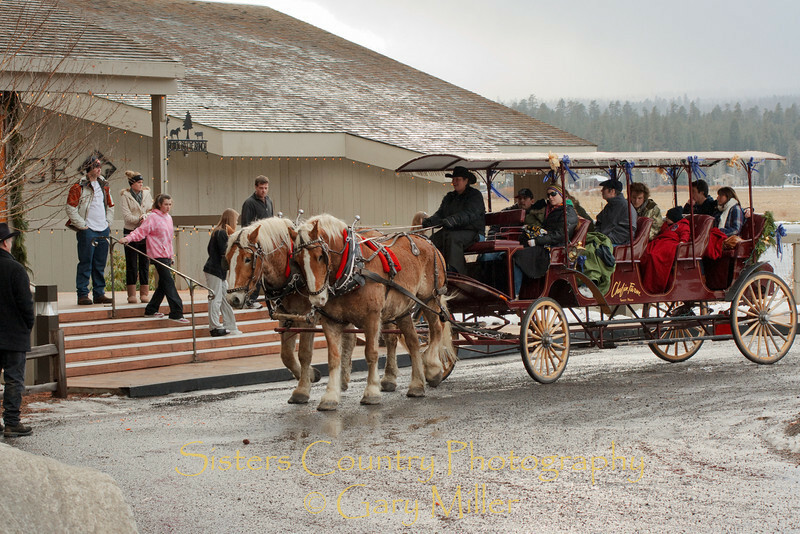 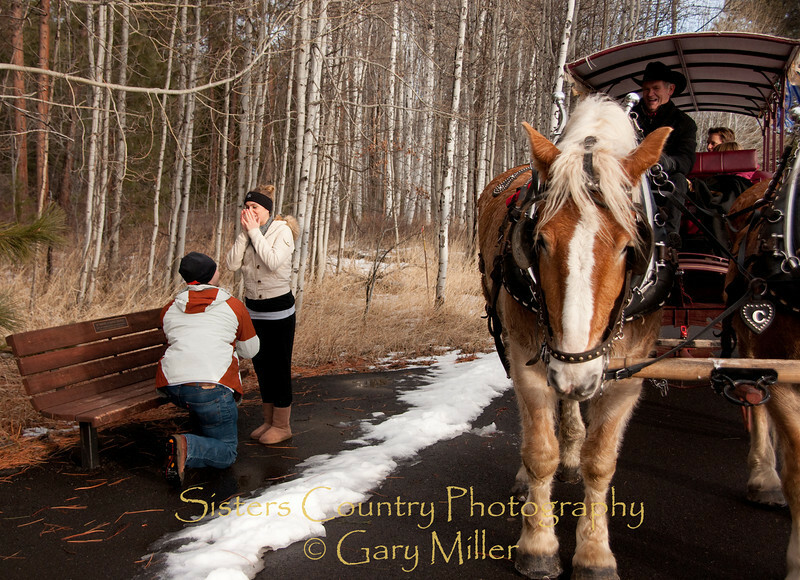 Tony Wilson schocks Kierstan Vettrus with an 'on the knee' wedding proposal during a New Year's Day horse carriage ride at Black Butte Ranch - Sisters, OR. 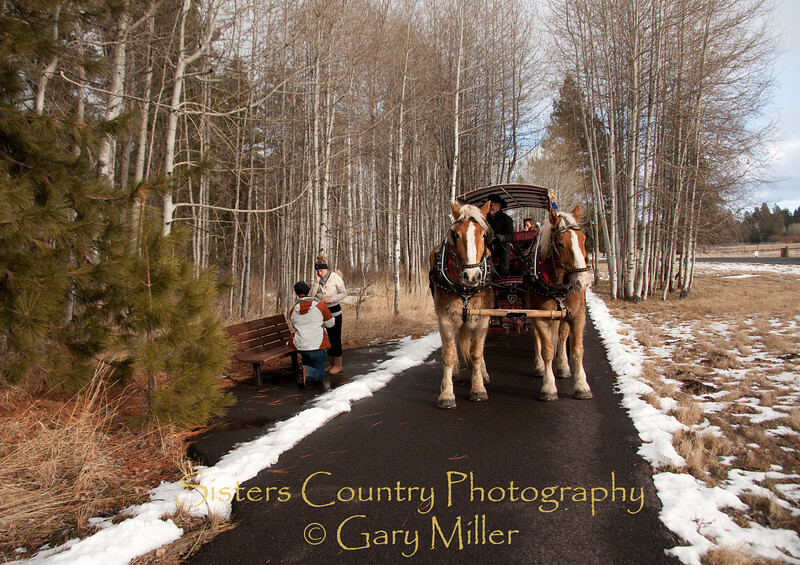 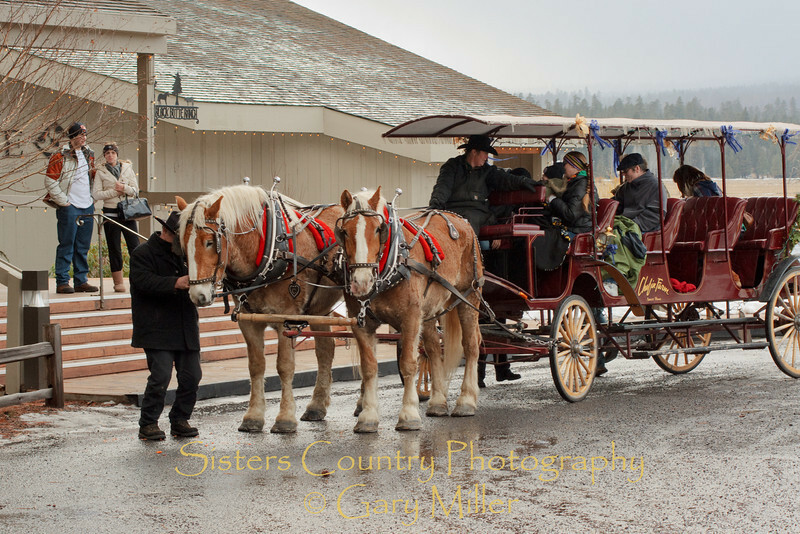 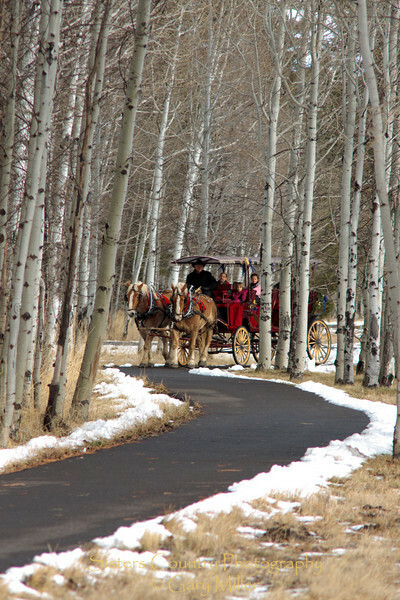 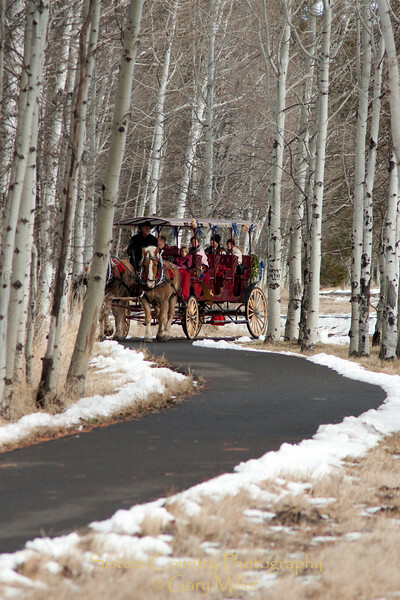 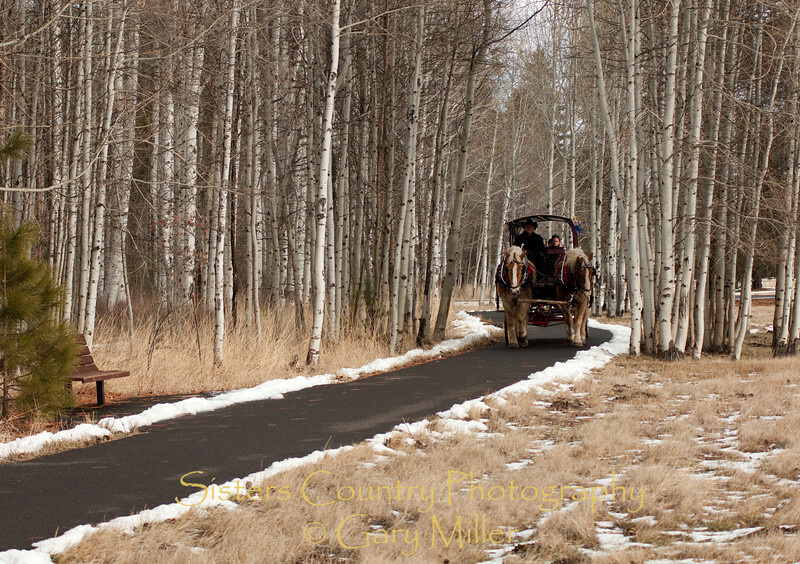 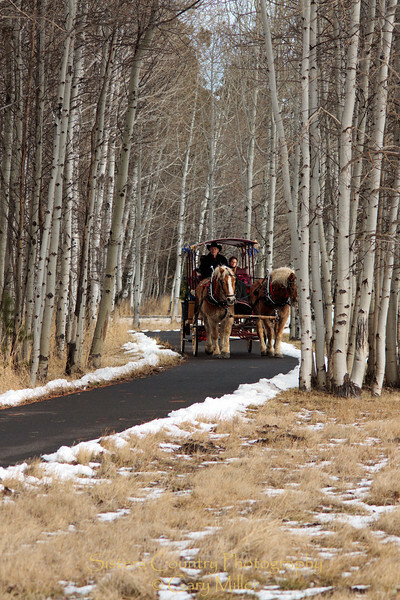 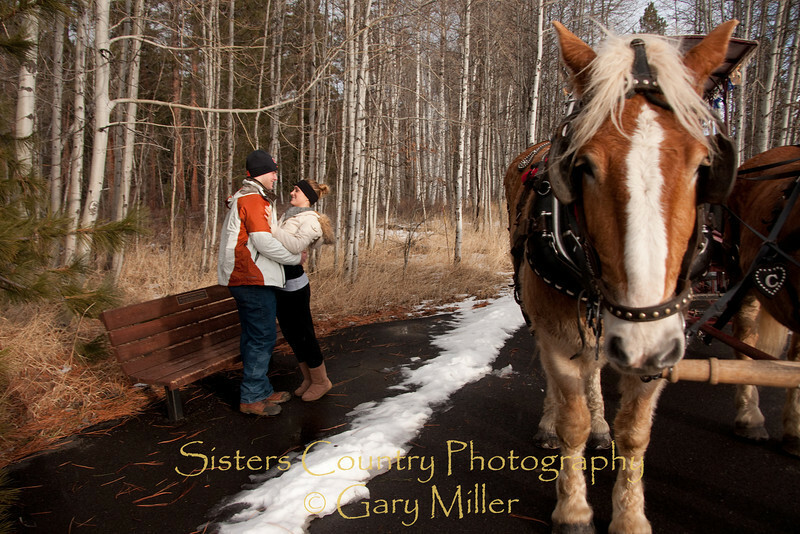 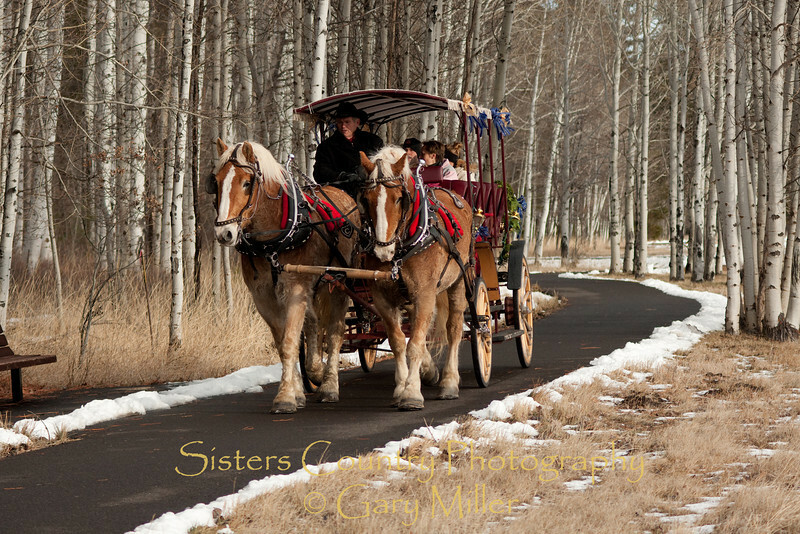 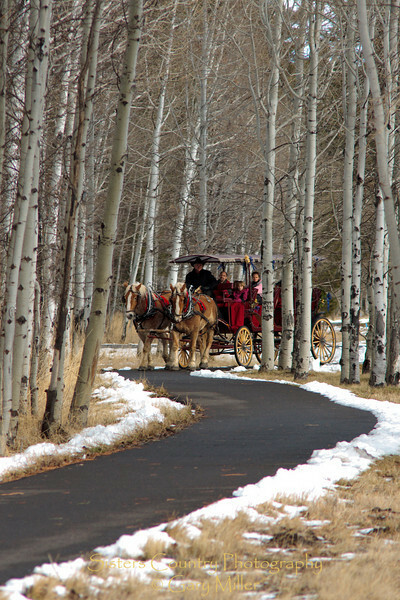 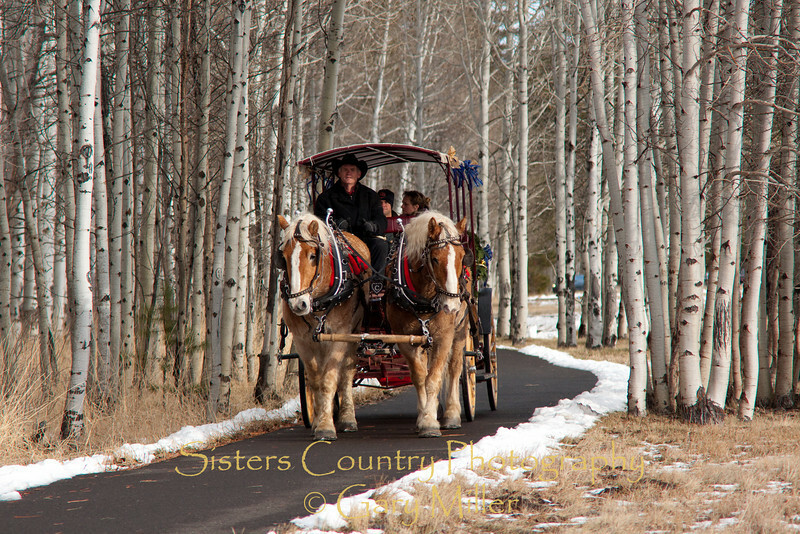 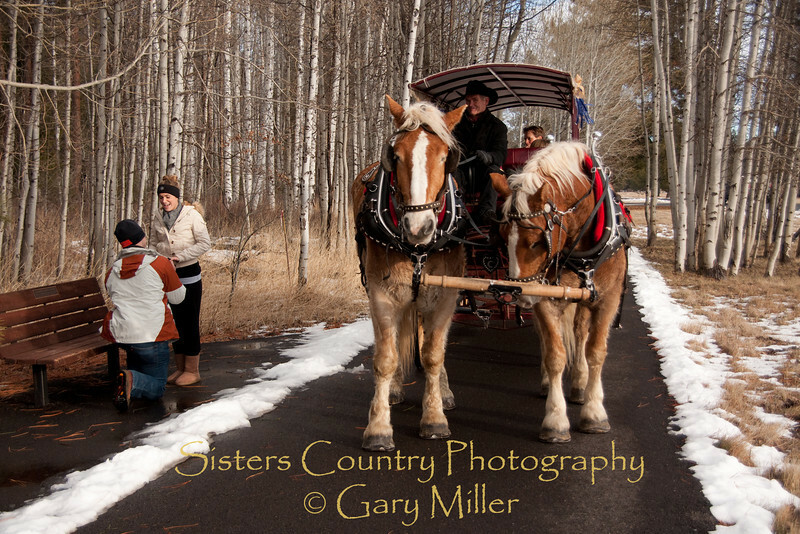 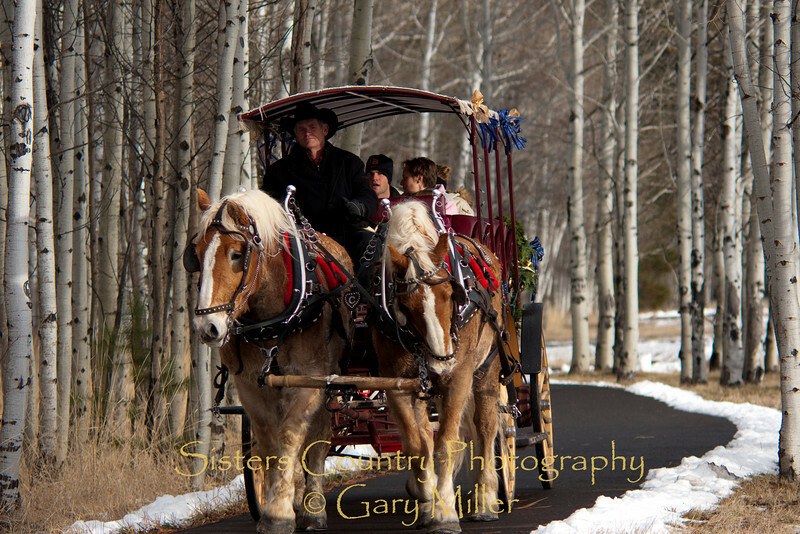 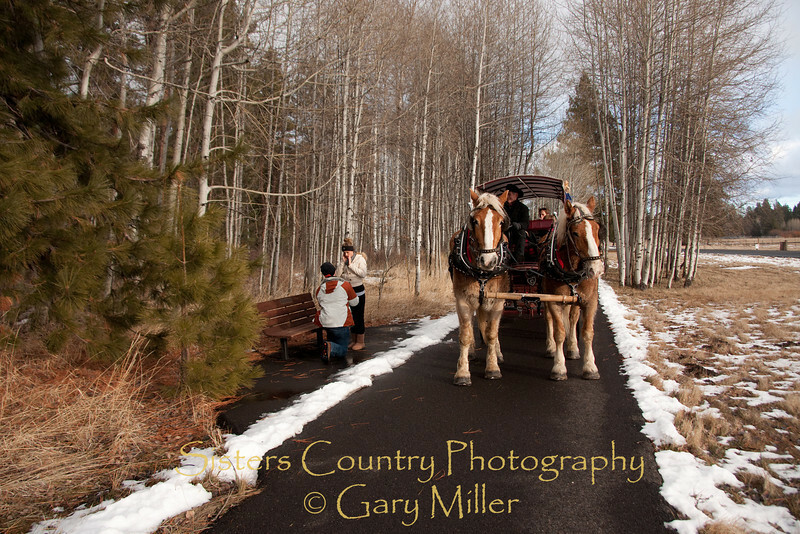 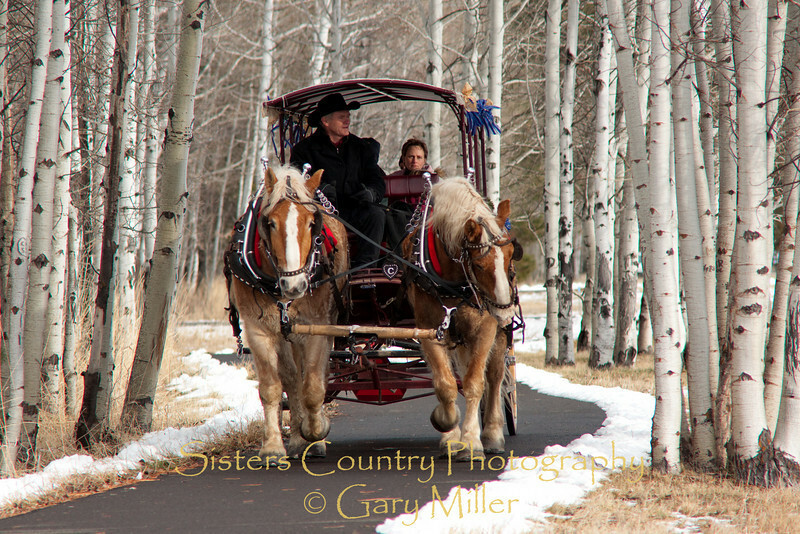 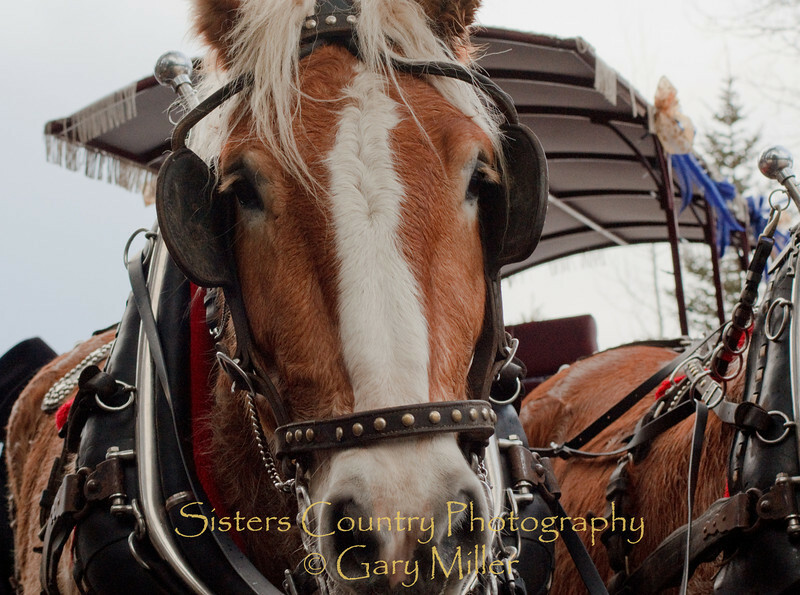 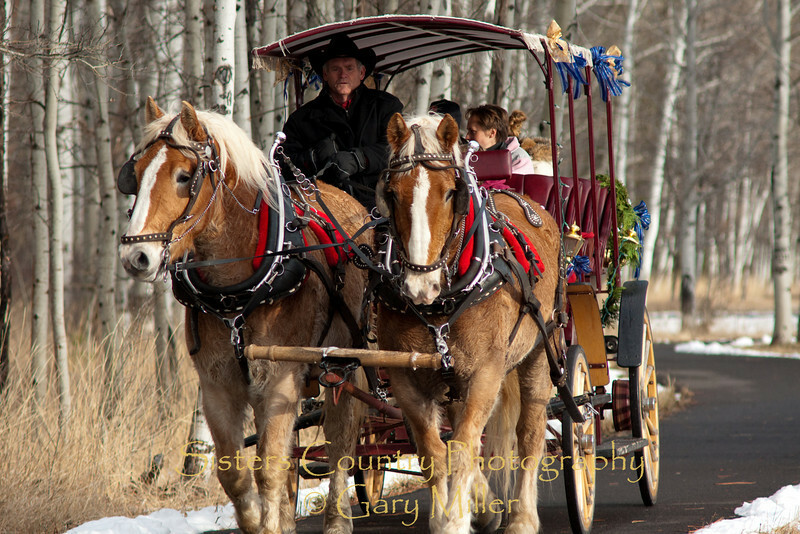 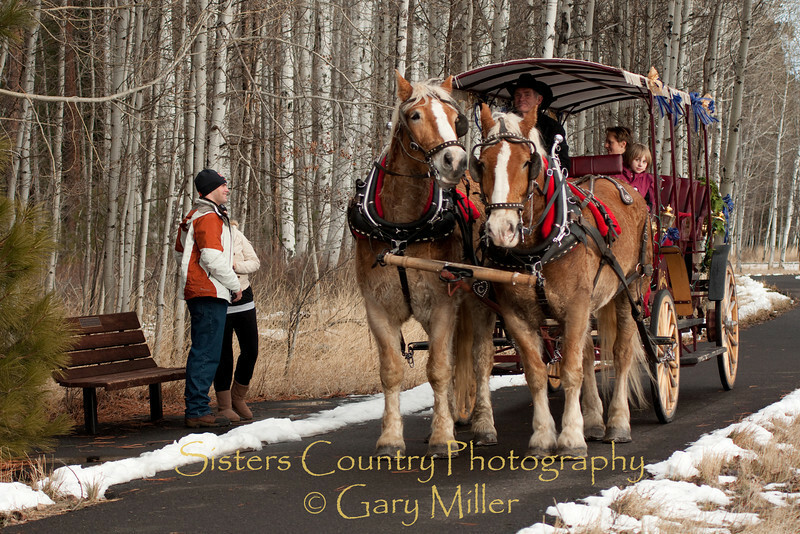 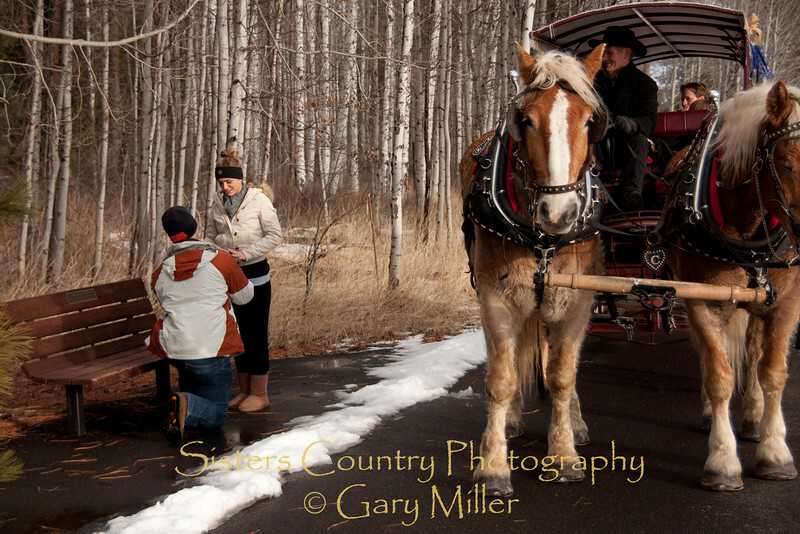 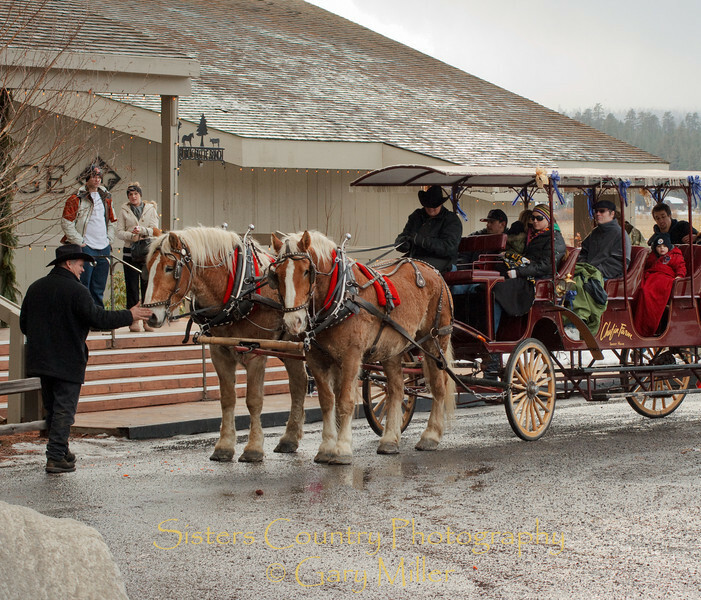 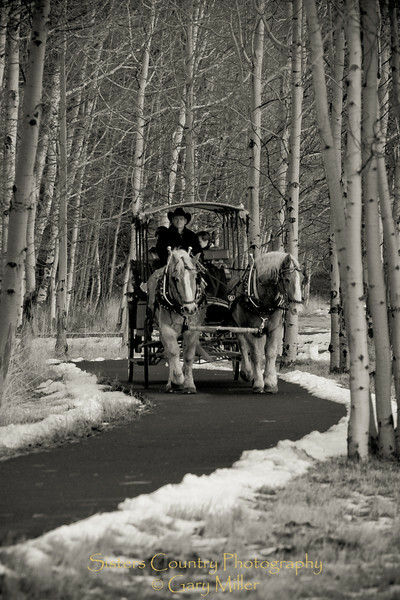 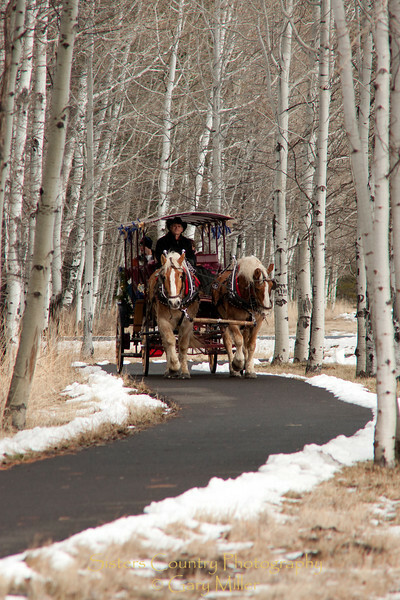 Photographer Gary Miller got wind of the plans from the wranglers and laid in wait for the carriage to arrive.